We have created a SSIS Package. Now we want to enable Logging for our Package and want to create a log file ( Text File Logging) each time the package executes. The Log file name should look like "PackageName_Date_Time.log". If we run our package now, it is going to create a log file on desktop for us with the name MylogFile.txt. But our goal is not to generate a log file like that. 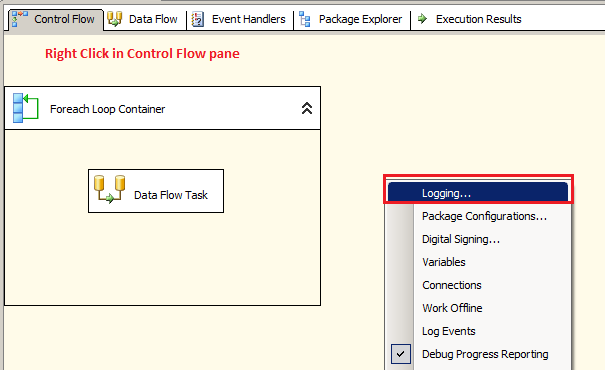 We want to create a log file in PackageLogFiles Folder with PackageName and Datetime. Create a variable VarLogFolderPath and save the path of folder where you want to save the log files. As you have noticed that I did not save the time till seconds level. 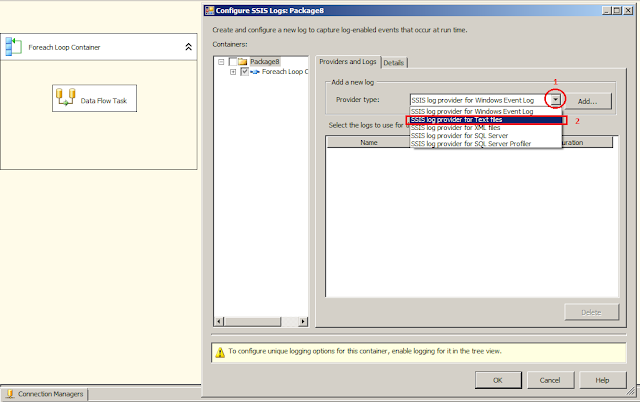 If I will do that , SSIS will create multiple log files , couple of them while validation. To avoid that I am creating log file with YYYYMMDD_HHMM. 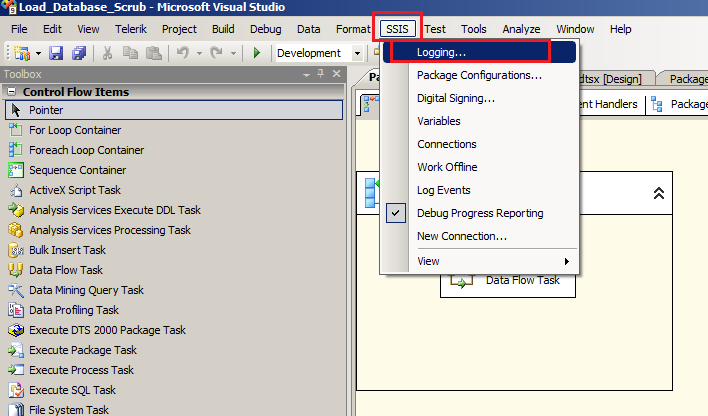 Let's run our SSIS Package couple of times and check the Log File Folder.Wow!! 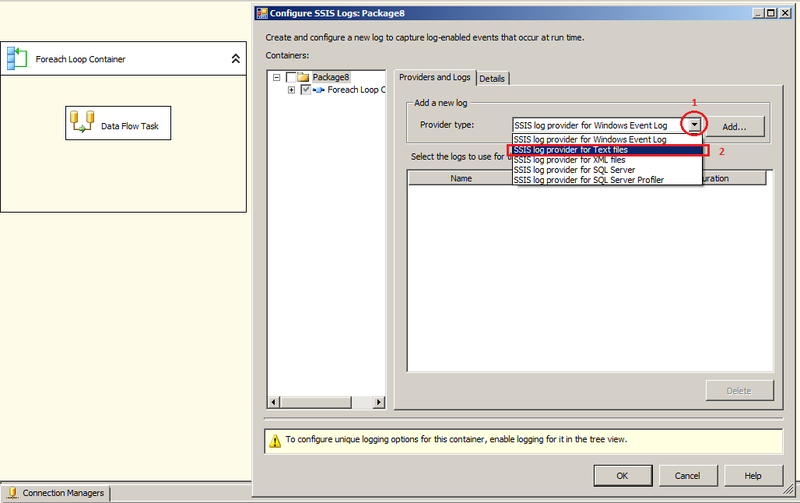 the log files are created for each execution of SSIS Package.